For you, your friends and your family, this is their special day. Let us make it. Are you looking for the best wedding DJs in your local area? Here at DJ2K, we are award-winning and talented wedding DJs working in Dorking, Reigate, Redhill and throughout Surrey, London and the South East. When you want to get your guests in the mood for fun, our team know how! We offer a personalised service, with a great attention to detail and will tailor our music to suit your special day. 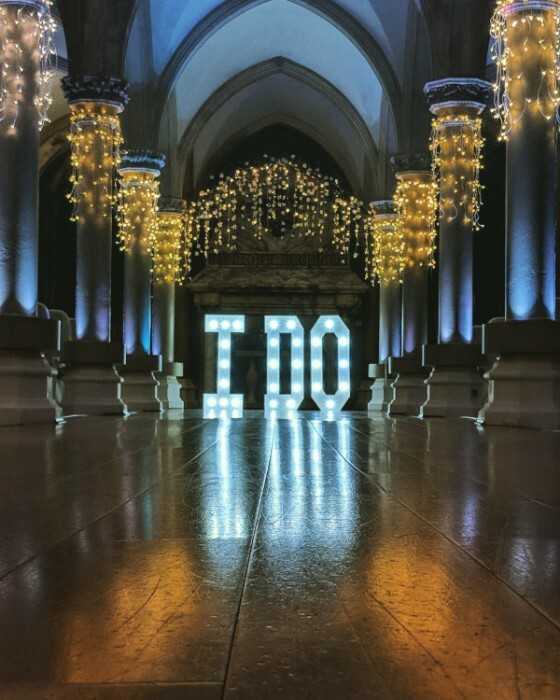 Our professional and reliable entertainment business has worked at many of Surrey’s best wedding venues, including Wotton House, Nutfield Priory, Denbies, Burford Bridge Hotel and Guildings Barn. We also provide mobile DJ hire, wedding DJs and DJs for all types of parties and events. We deliver the perfect party soundtrack and will create an upbeat and fun atmosphere to suit the guestlist for any party. Founded by Danny Costello, the team at DJ2K are passionate about music and are proud of our reputation for providing sensational nights, where the feedback from our clients is consistently exceptional. Wedding DJs: We are leading suppliers of wedding DJs and perform at some of Surrey’s finest wedding venues. We are dedicated to providing you with a party you will remember. Party DJs: Our DJs are simply the best in the business; they will tune into the audience and get them on their feet all night long. Not only this, but after the event, your guests will be taking about the music for weeks to come. Corporate events DJs: From product launches and drinks receptions, through to Christmas parties and events, we work with businesses and brands, providing them with a unique service. Whether it is a black tie event or a relaxed social party, we will ensure your event is a huge success. We have worked with huge blue chip companies, including GSK, M&S and BMW. Read our blog about what’s hot and what’s not at corporate events. There are wonderful wedding venues in Dorking, and we’ve been lucky to provide great music at a long list of them. Speak to our expert event planning team are on-hand to guide you through all the options. Are you looking for a wedding DJ near you in Reigate (RH1)? Do you have the perfect venue, amazing food and your outfits lined up but you’re struggling to find the right music or DJ for your wedding? We know how important your wedding day is, so we are here to provide you with the perfect music. We have a small roster of exciting, stylish and professional DJs, who have a love for music and a passion for entertainment. We offer a range of premium events packages and we always offer a full music consultation before the day, so we can get to know you and understand the vibe you are looking for from your wedding. No genre of music is off-limits – we want to make sure your dreams are turned into reality and your night is brilliant fun, stylish and stress-free. We use the best audio visual equipment and lighting available and we are also able to offer a range of optional extras, such as photobooth hire and magic selfie mirrors to keep your guests happy. When it comes to mobile DJs, you may be worried that they will turn up with old equipment and play music you don’t want to hear. With DJ2K, we believe that you should be in control of the music at your party. We will create a tailor-made set list after taking time to understand your personal requirements. Our professional DJs use the best and most-professional set-ups and will really create the wow factor. Whether it is spinning tracks from the ‘80s or ‘90s, a night of Motown classics, or some Garage and House, we will have it covered. We guarantee the room will be buzzing and your guests will be on their feet. I just wanted to so say a huge thank you to and your team for making our day so very special. As I mentioned before, music is such an important part of my life and for our friends and families so you guys nailed it! We are specialists in what we do, with a vast amount of experience. Call us now for a no-obligation quote on 0800 783 2928 or you can email info@dj2k.co.uk and we will get back to you. We also provide wedding DJs and mobile DJ hire in Windsor.